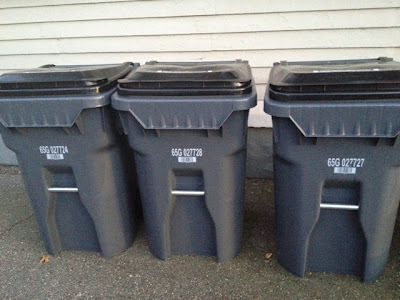 Last week, I came home to discover brand new trash bins in front of all the houses on my block. I wondered what gives. 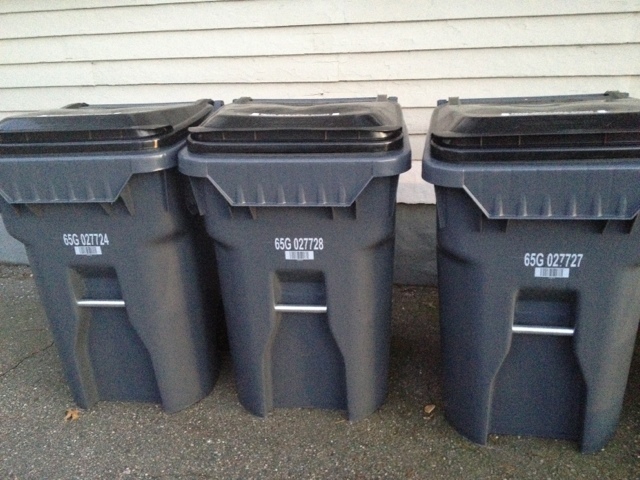 The old 95 gallon bins are to be used to discard all plastic and metals for single-stream recycling. Eventually blue lids will be placed on the large bins to make their new purpose more obvious. The new 65 gallon bins are to be used to discard everything that isn't recyclable. The old tiny blue and green bins are no longer needed. You can use them for something else or return them to the Department of Public Works. If you don't at least put out the recycling bin, sanitation workers will not take your trash! I hope this simplifies things!